Custom designed stands are built to order. AllStands started in 2006 as R&R Fabricators it subsequently incorporated in August of 2007 as R&R Fabricators, Inc. On December 10, 2009 the company had a name change to AllStands, Inc.
AllStands started as a fabricator of special or custom stairs, handrails or small stages or platforms made of steel and aluminum. It sought out smaller custom jobs for large companies or organizations on projects that may offer larger or repeat orders. AllStands was introduced to the aviation industry by Chris Seaman. After a year of meetings with the Federal Aviation Administration (FAA), AllStands received a project from the FAA. It also received a contract from Harley Davidson, Inc. to developer a work stand for one of their motorcycle facilities in Milwaukee, WI. AllStands next large customer was Lockheed Martin where it started some small projects. Lockheed was in need of a work stand for the C5M aircraft (U.S. military largest aircraft) engine maintenance. AllStands designed and built a prototype stand for them which have been a big success. This has lead to several other contracts from both the military and private industries. AllStands is run by Chris Seaman who was its only employee until 2011. Chris Seaman, who holds the patent for the X-Deck work platforms (see: www.safeplatforms.com ) also has designed all AllStands projects with the assistance of JED engineering of Louisville, Kentucky. 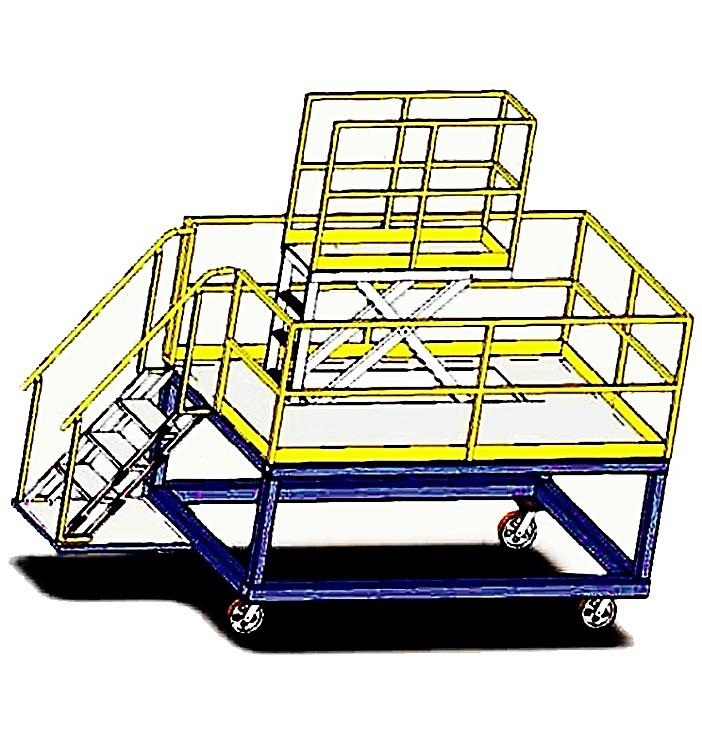 Today, AllStands supplies the Aviation Industry with quality, highly efficient and versatile work platforms. We presently produce and supply work stands for Lockheed Martin, Northrop Grumman, Boeing Aircraft, Cessna Aircraft, United States AirForce – Army and Navy, NASA, UPS and many other quality customers. Military Validation and Verification by Lockheed Martin, independent engineering companies contracted by Lockheed Martin and the U.S. Air Force (USAF). These design, engineering and manufacturing verifications were done on the AllStands – C5M engine stands. Also, the USAF conducted an analysis on the technical operations. 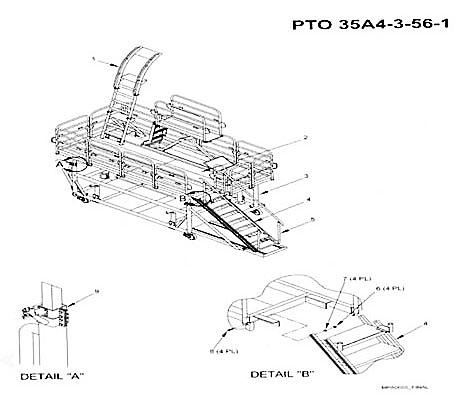 They completed a 118 page operational manual on the use of the AllStands work platform for use in the maintenance schedule for the C5M aircraft. Present projects include: Lockheed Martin, Marietta, GA Dobbins AFB -- 4 C5M engine stands ; NavAir (U.S. Navy purchasing arm) 4 FireScout work stands; U.S. AirForce, Robins AFB one C5M engine maintenance work stand. All the above contracts are re-orders of stands and all will be completed in the next 60 days as of 1/26/11. The Robins order above has 3 more stands for 2011. In addition we are in the final stages of a year project with UPS. They have chosen our stand, the “Super B” for a replacement stand for their aircraft maintenance. This same stand is being quoted to several large companies, including Goodyear tires, and Entergy power generation company for use in their plants. Founder and President of SafeTec Industries, Inc.